Centrally located on Karon Beach, this resort is at a short walking distance from the beach, restaurants, shops etc. A good choice of amenities including separate kids pool with slides makes it an ideal choice for families. The rooms are large and spacious, the staff is extremely helpful and you also get to enjoy a well spread breakfast buffet. 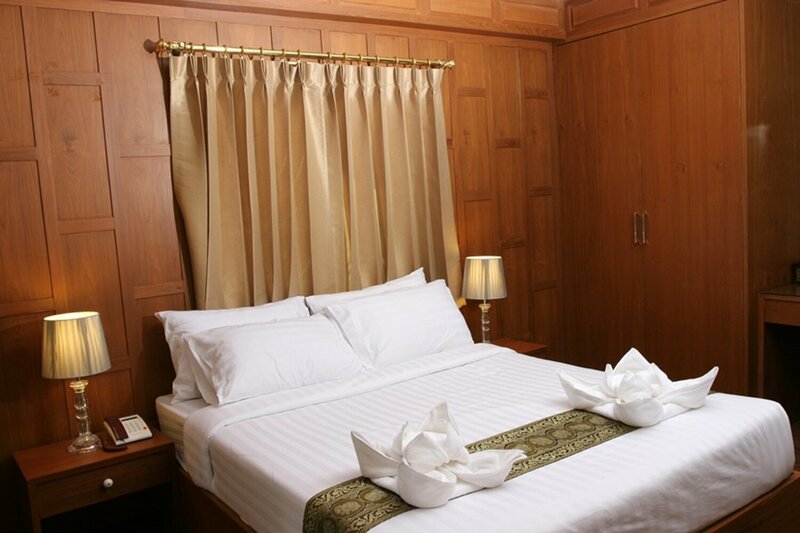 Orchid Resort Bangkok is a classic 3-star hotel located in Bangkoks Lat Krabang District. 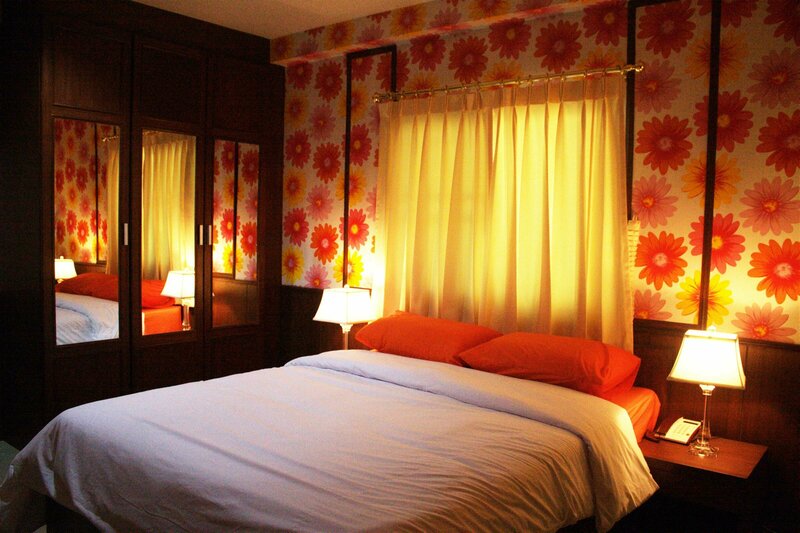 Known for its warm hospitality and quality service, the hotel comes with a plethora of modern-day facilities. It not only welcomes solo travelers with an open heart but also accommodates newlywed couples. Surrounded by various species of orchids, the hotel always flourishes with their pleasant aroma. Featuring an outdoor pool, private balconies, and a massage spa, the hotel allows its guests to enjoy their vacations in an ideal way. It boasts of its free Wi-Fi and free parking facilities which are offered to all the guests. Moreover, being one of the best-rated locations in Lat Krabang, this Thai style building is just 8 minutes away from Suvarnabhumi Airport providing airport transportation at an additional charge. Offering the best of accommodation options, the hotel is capable of serving comfort while maintaining the privacy of its guests. It categorizes rooms as Standard Room and Deluxe Room which are equipped with all the necessary amenities a traveler looks for. 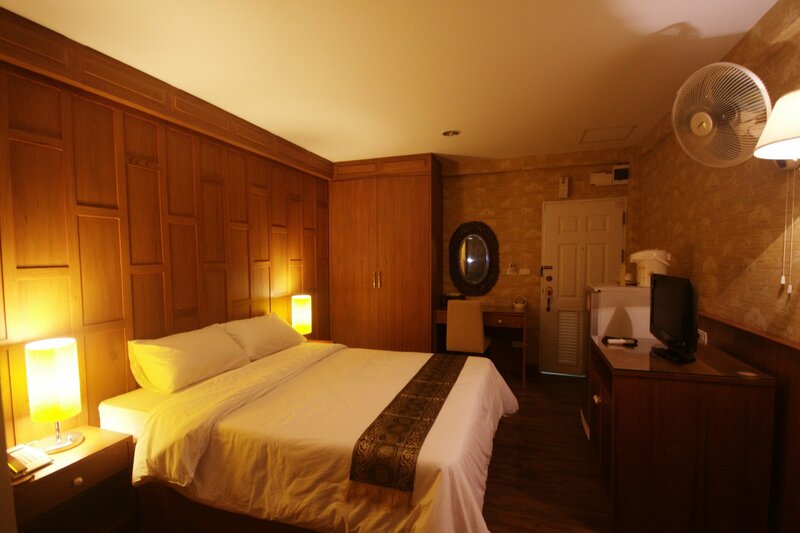 Each room comes with an air conditioner, hot shower, TV, DVD player, refrigerator, kettle, mini bar, and telephone. Moreover, a hairdryer, mini-bar and coffee/tea making facilities are available. 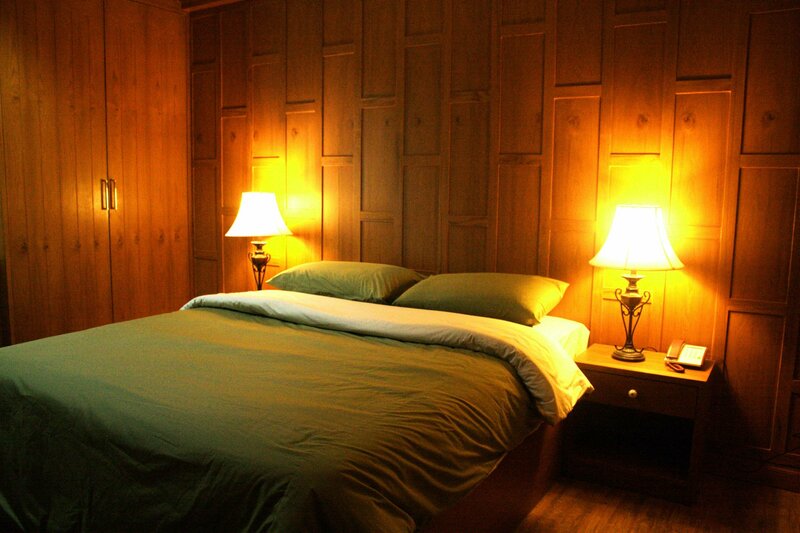 Guest can avail high-speed internet access in all the rooms. Other than this, the staff members are always available to take care of the guests. 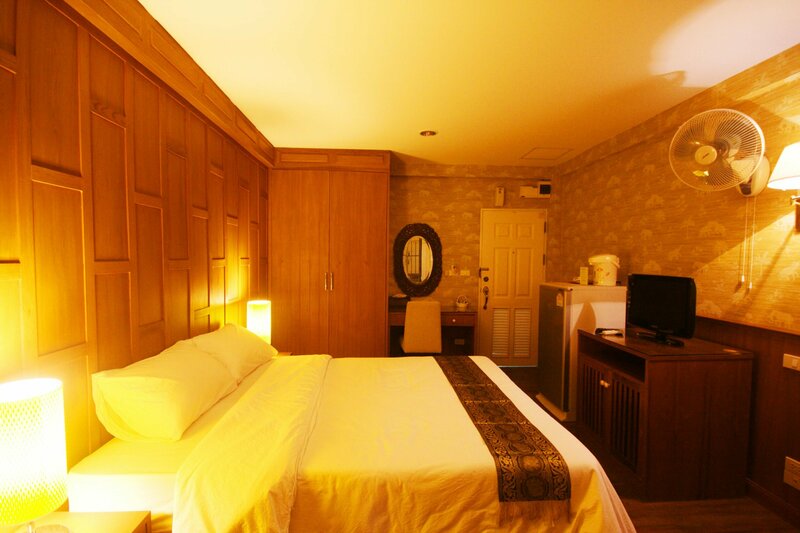 The hotel does not only look after the needs of its guests but also creates a homely atmosphere. Having a friendly team of staff, the property offers a comfortable stay in an affordable budget. One can either swim in the outdoor pool or have a therapeutic massage at the spa. Other than this, there are a number of services which the hotel provides such as 24-hour front desk, luggage storage, currency exchange and express check-in/check-out. Guests can avail cleaning and laundry services during their stay. For the convenience of its guests, Orchid Resort Bangkok also maintains a tour desk and offers free Wi-Fi and free parking facility. In the meantime, one can go for cycling to explore the surrounding areas or can indulge in a golf game at the golf course located near to the hotel. Apart from these conveniences, Orchid Resort Bangkok allows its guests to taste scrumptious local and international cuisines. It maintains a restaurant that serves delicious food in an atmosphere blooming with the flowery aroma. American dishes make for an amazing breakfast. Other than this, guests can choose to visit nearby restaurants and bars for a change of taste or explore the area to see the nightlife of Lat Krabang. Given its location, this place will not fall short of ones expectations when it comes to a great dining experience. On the whole, this place has something for everyone. Featuring a range of amenities and services, Orchid Resort Bangkok offers a budget-friendly stay while allowing the travelers to enjoy their supreme hospitality. 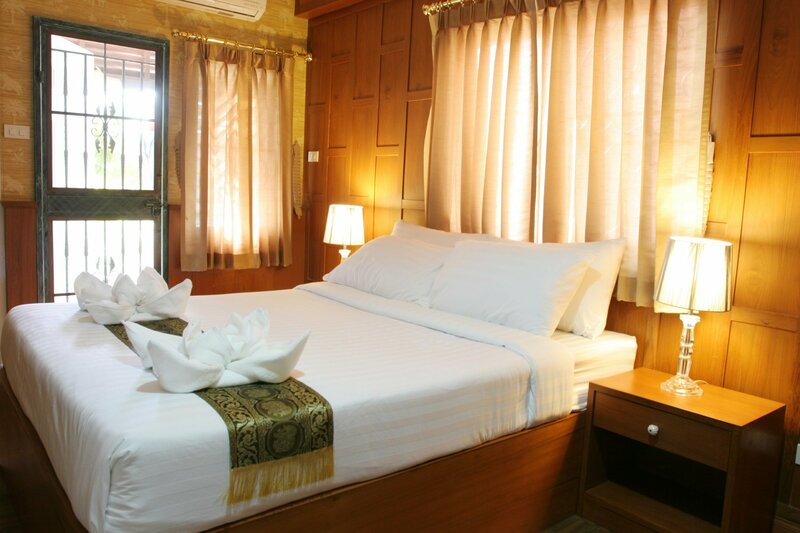 Moreover, its Thai style building and modern facilities create a perfect combination of modernity and tradition. How far is the international airport from Orchid Resort Bangkok? Orchid Resort is an 8-minute drive from Suvarnabhumi Airport. Does the Orchid Resort have a complimentary Wi-Fi service in all the rooms? Yes, Orchid Resort offers high-speed free Wifi in the rooms. What activities can one enjoy at the resort? One can enjoy spa massages their stay at Orchid Resort. Other than this, travelers can go for cycling to explore surrounding areas. Sports enthusiasts can visit the nearby Golf course. Travelers can enjoy tea or coffee with delicious snacks at the restaurants cafe. Does the resort offer its guests an airport shuttle service? Yes, the resort provides airport transportation for the convenience of its guests at an additional charge. Orchid Resort Bangkok is a beautiful property that takes care of the budget while serving its guests with the best of facilities. Offering supreme comfort and tranquillity, the hotel maintains an outdoor pool and allows its guests to avail spa facilities. Its unique architecture and decorative accommodation make it one of the most preferred properties in the town. Having well-appointed rooms equipped with the necessary amenities, this hotel creates an ideal environment for its guests to spend vacations. To make it easier for the tourists, the hotel provides a 24-hour front desk, luggage storage, currency exchange, express check-in/check-out, cleaning and laundry services during their stay. A television and DVD player are there in all the rooms. Moreover, the hotel is just an 8-minute drive from Suvarnabhumi International Airport which makes it the right choice to stay. Apart from this, the friendly staff takes the responsibility of providing everything to the guests on utmost priority. Serving with great hospitality and quality service, it allows the travelers to enjoy their vacations in the best way possible. From offering tasty cuisines to spa treatments, the hotel never fails to charm its guests. On one hand, Orchid Resort Bangkok lets its guest wake up refreshed while on the other, it allows travelers to enjoy the beautiful and undying nightlife of Lat Krabang.